This projector has a fixed lens and is suitable for temporary / portable applications or installations. It delivers a bright full HD image and due to the fixed short throw lens and corner keystone correction, it will fill a large screen from a short distance. 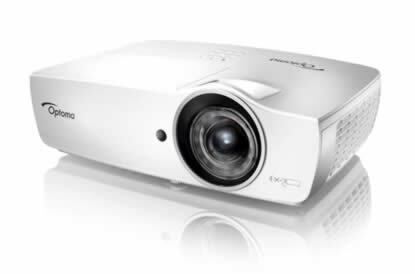 These are full HD 1080P DLP short throw (UST) projectors outputting 4200 lumens, with a 20,000:1 contrast ratio. Full 3d support. Fixed throw ratio of 0.5:1. This is a full HD short throw projector (fixed 0.5 : 1 ratio) outputting 4200 lumens.